My brother Mike got me inspired to do a ROL yesterday. 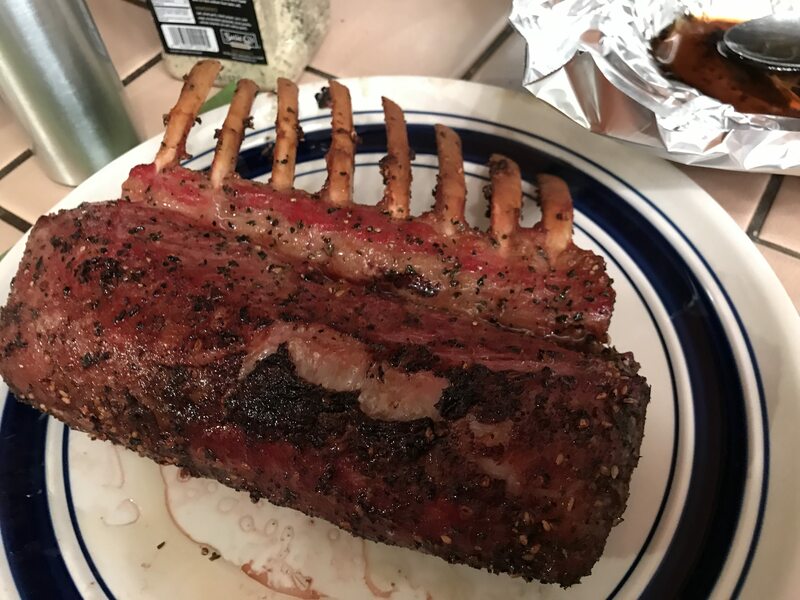 I didn't have the time to marinate one like I usually do so I bought a rosemary/garlic preseasoned frozen rack at Trader Joes. I cut open the bag and added some olive oil and white wine and let set for about an hour before putting it on the MAK 2. Set the MAK to 275F and put ROL over the pan I'll later sear it in and make the wine reduction pan sauce in. Pulled at 147F internal and rested then quick seared in pan. 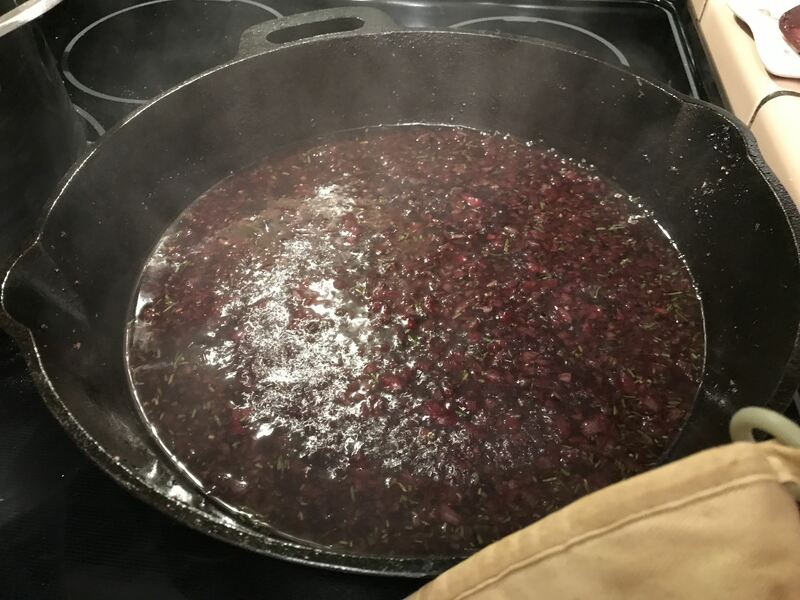 Then added red wine, fresh rosemary/thyme/chives to the pan and reduced to 1/3. Added beef stock and continued to reduce then added butter, salt and pepper to finish. Last edited by scooter; 11-27-2017 at 07:26 PM. I've been on a ROL kick myself in recent months, but I have been sous vide-ing them first, then browning on the MAK. 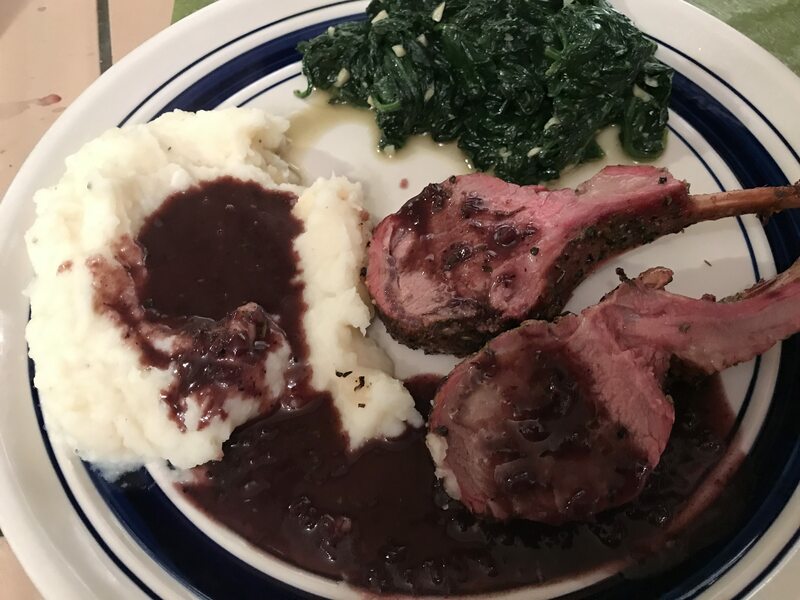 I will have to try your method with the pan sauce -- it looks incredible! Thanks for the pics, scooter! 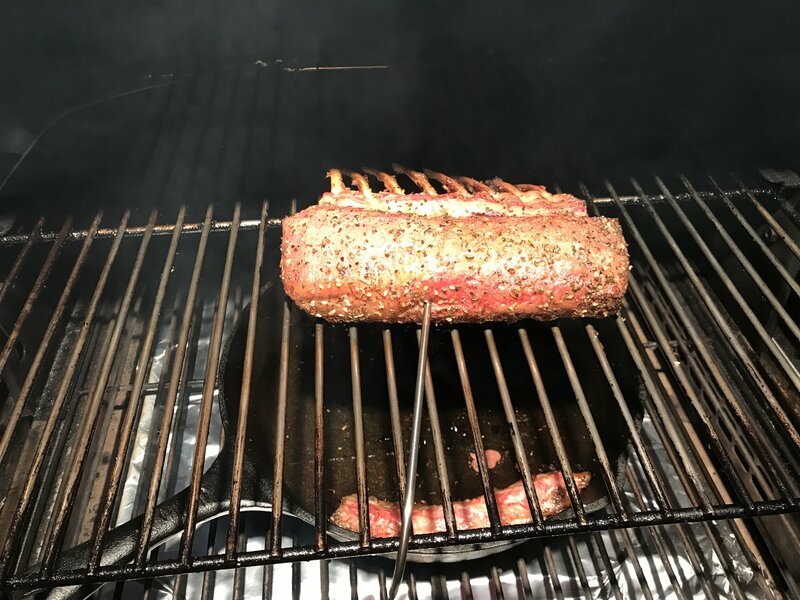 I consider slow smoking them sort of a redneck sous vide. If cook in a plastic bag in water how do you get smoke on the meat? 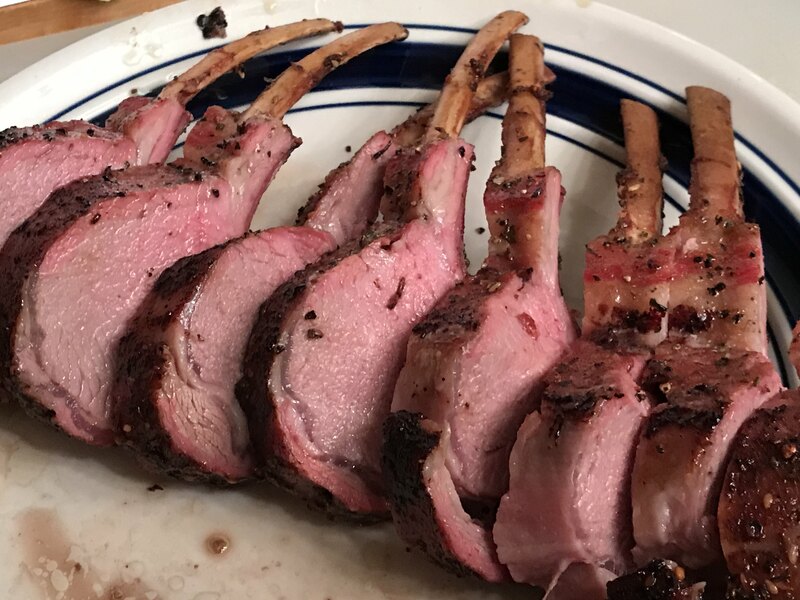 I love lamb and that looks fantastic! LOL! I agree, that's why I'm going to try your method!